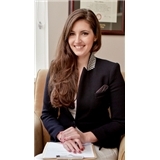 Dr. Roxanna Namavar (New York) - Book Appointment Online! Appointments will not be confirmed until all new patient forms are received. Payment is required at the time of treatment. Cash, check and credit card are accepted and receipts for insurance reimbursement are given. The practice does not accept insurance directly. The practice enforces a 48 business hour cancelation policy, or the full fee will be charged. Roxanna is an incredible person. So incredibly gifted, warm, and understands you before you even before understand yourself.